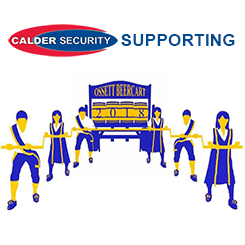 Calder Security is pleased to be supporting the Ossett Beercart festival again this year. This is the 5th year of the Beercart and the 3rd time that we have been on board as a sponsor. The Beercart is organised by Wakefield Morris and held just down the road from us at Ossett Town Hall. As well as all the lovely beer, cider and prosecco there is also lots of entertainment on the family including, of course, plenty of Morris dancing! Best of all, all proceeds go to Wakefield Hospice. It takes place on the 1st and 2nd June and you can see more details on their Facebook page. Look out for our sponsored beer!